Product prices and availability are accurate as of 2019-04-20 18:56:40 EDT and are subject to change. Any price and availability information displayed on http://www.amazon.com/ at the time of purchase will apply to the purchase of this product. 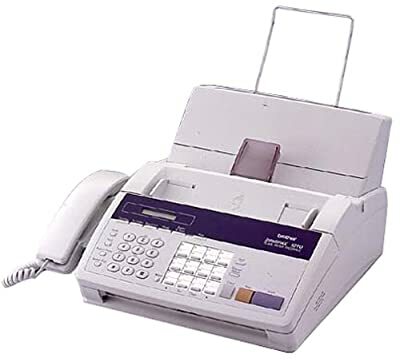 The IntelliFAX-1270 is a full-featured plain paper fax machine with a 20-page automatic document feed, 200-sheet paper cassette, 450-page print cartridge, and Quick Scan memory transmission. Its 20-page memory, broadcasting, and convenience copying features make it well suited for demanding business applications. This full-featured fax machine is both Caller ID and Distinctive Ring Detection ready for customers subscribing to these services.